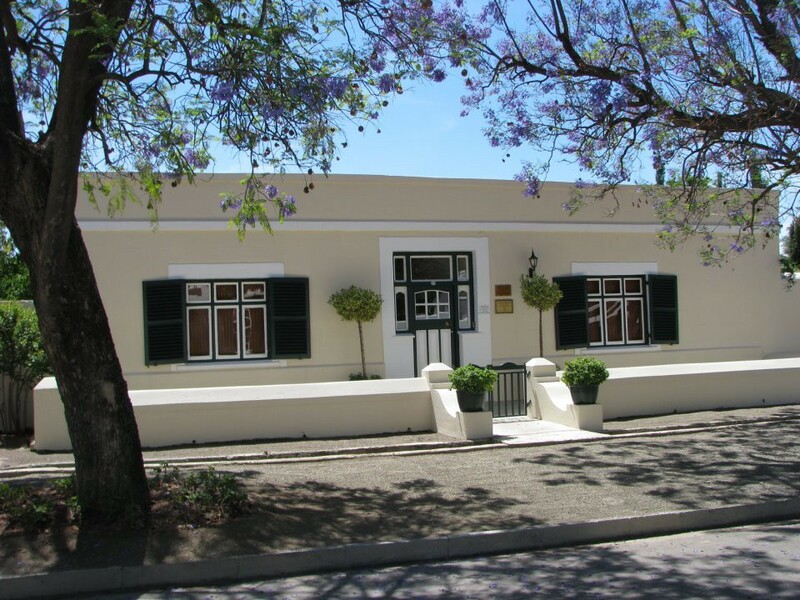 Experience the Gem of the Karoo, nestled below the ancient mountain range in these relaxed, tranquil gardens with the sound of birds, these historical authentic karoo style national monuments are situated across from each other in the shady quite of one of the most picturesque tree-lined streets of the town.They date back to the 1800s and combine authentic Karoo style and ambience with every modern comfort. 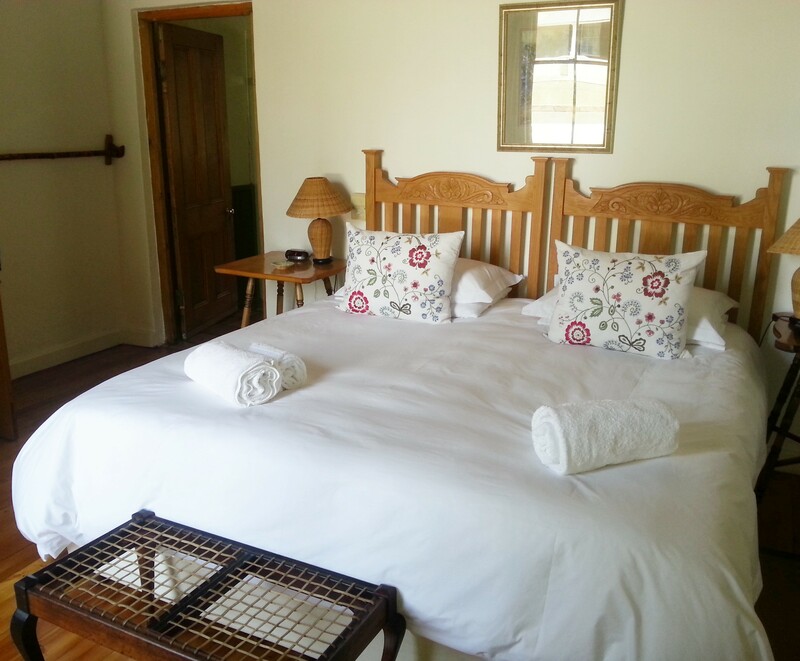 Free wi-fi in all the cottages. 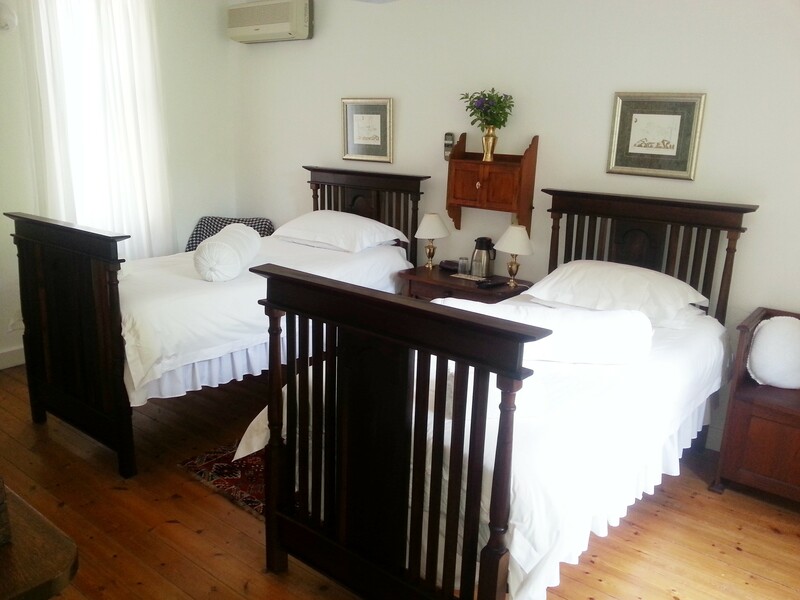 Each cottage has its own private garden. All our beautiful rooms are air conditioned (cooling and heating), with en-suite bathrooms, white linen & towels, DSTV and flowers from our lovely garden. 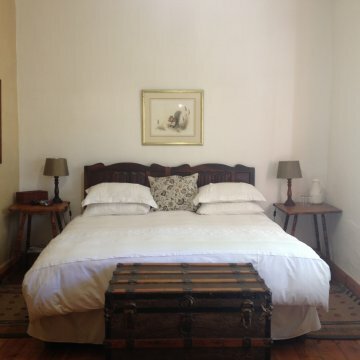 Our rate includes a full Karoo breakfast (cereals, yoghurts, fruits from the orchard, our own free range eggs, bacon). 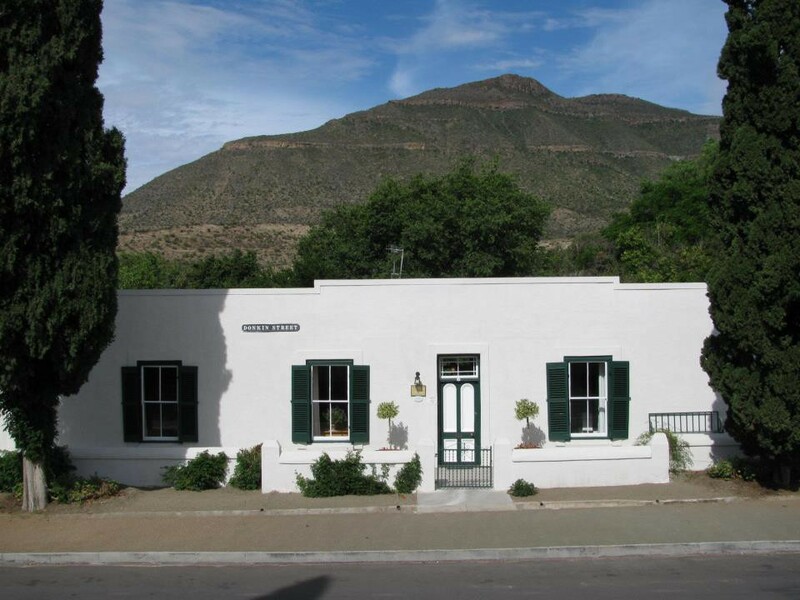 We are right next to the nature reserve, nestled in the shadow of Spandau`s Kop – an easy walk takes you right into the best of the Karoo nature. The town centre is an easy 10 minute walk, where we can make dinner reservations at any one of our variety of good restaurants. 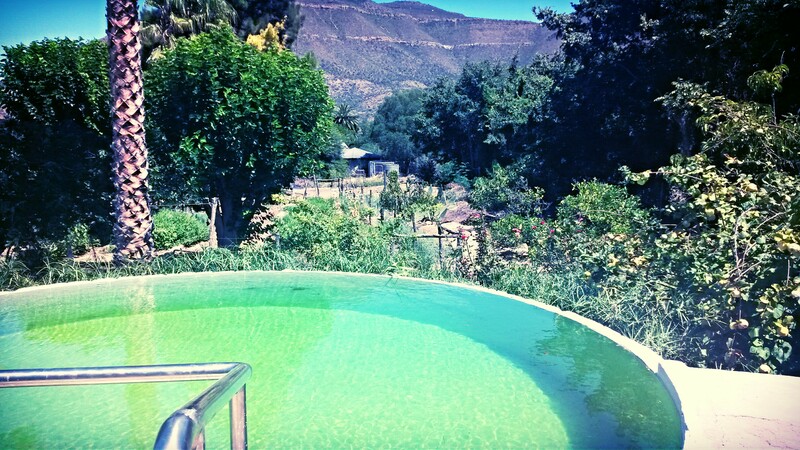 We have swimming facilities in our bore-hole-fed dam and secure off-street parking. There are a trampoline and swings on a spacious lawn for the kiddies. 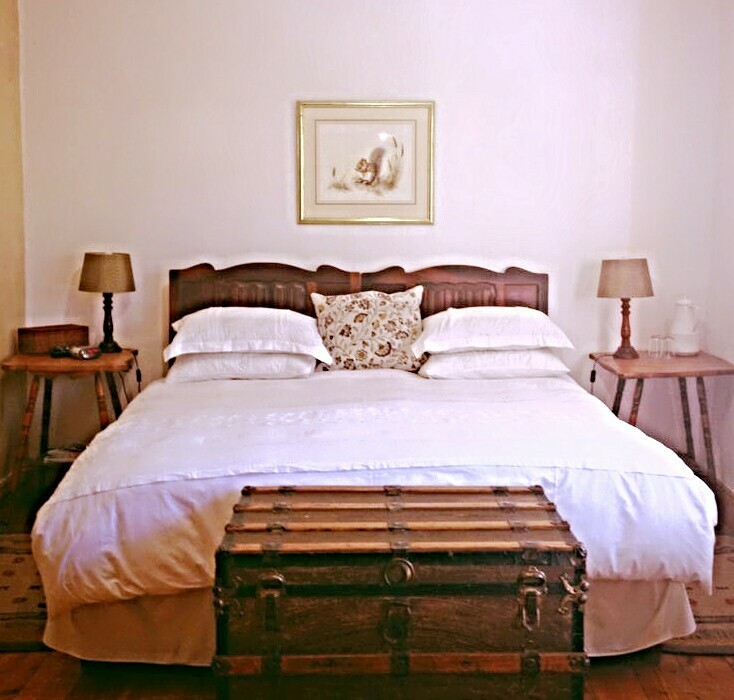 As the Gem of The Karoo, the town warrants a two night stopover.